One of the things we do everyday multiple times a day in this house, is cook. We love to cook, especially together. We make a pretty good team. Cooking gluten free meals is a must in our household. It’s a rare occasion when we have anything containing gluten in our house. Not only are we constantly trying new gluten free recipes, but we love trying new vegan and vegetarian meals–so fresh vegetables are a must!! 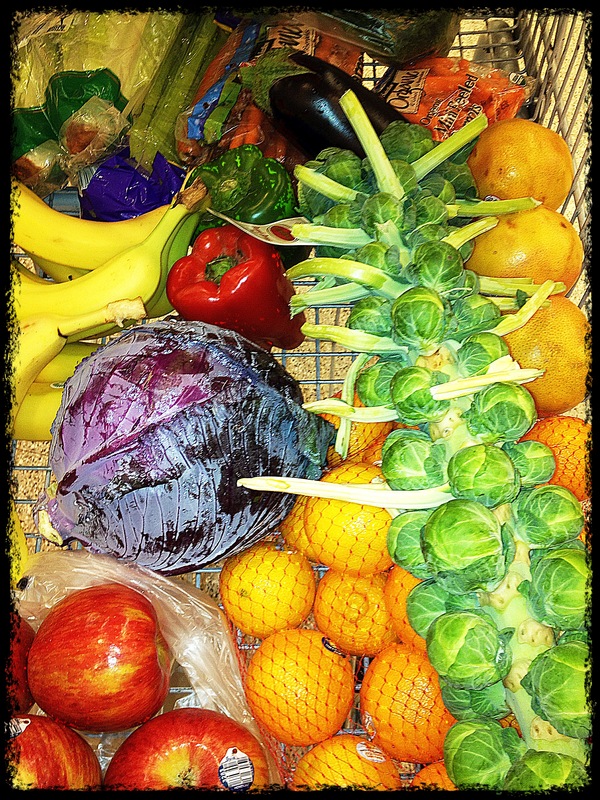 This is what our shopping cart usually looks like when we’re at the grocery store.